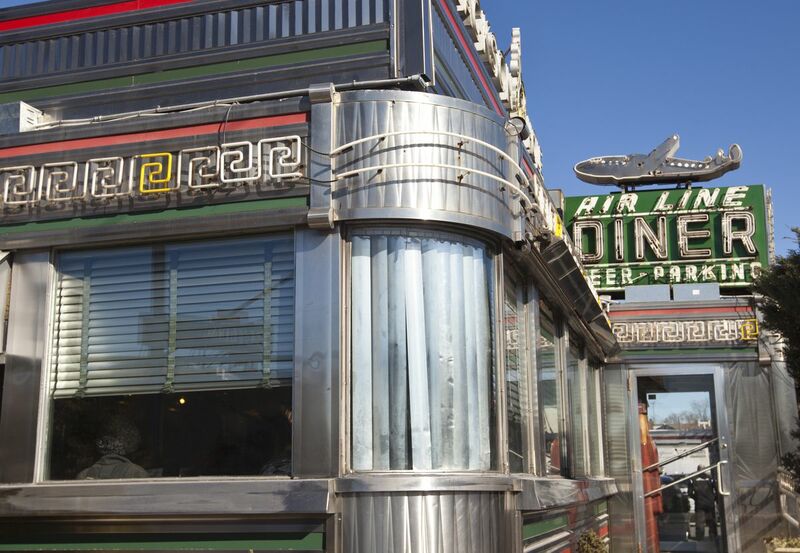 Classic diners are endangered in New York City, where rent is astronomical and family run diners are competing against large corporations for space. 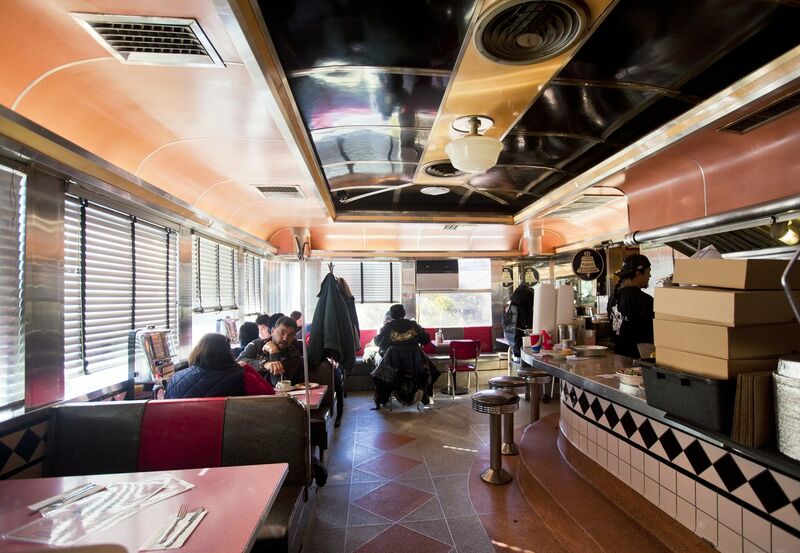 Last month, Queen’s Flagship Diner closed its doors after being a pillar of the Briarwood, Queens community for over 53 years. In its wake, a 7-story mixed use apartment building will fill the site. 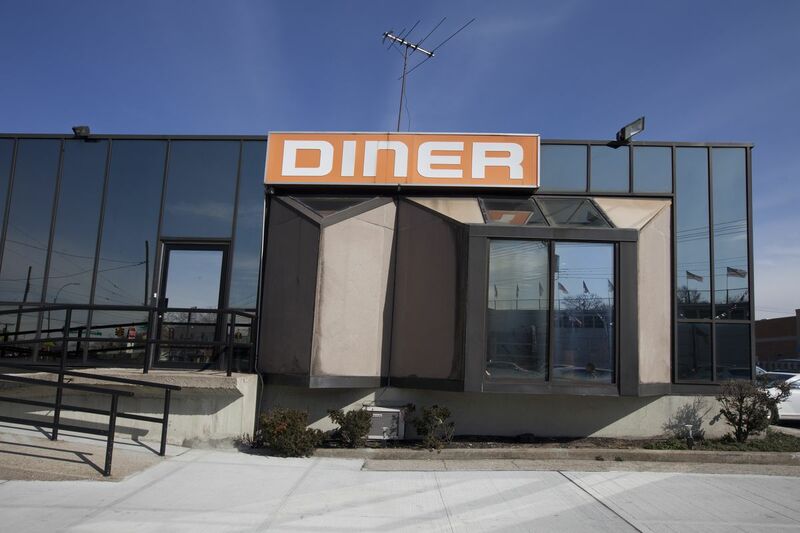 In March, the original Georgia Diner closed after 40 years in Elmhurst, Queens; the property sold for $14.25 million. Its demolition began immediately, with a medical facility and 18-story high currently under development. 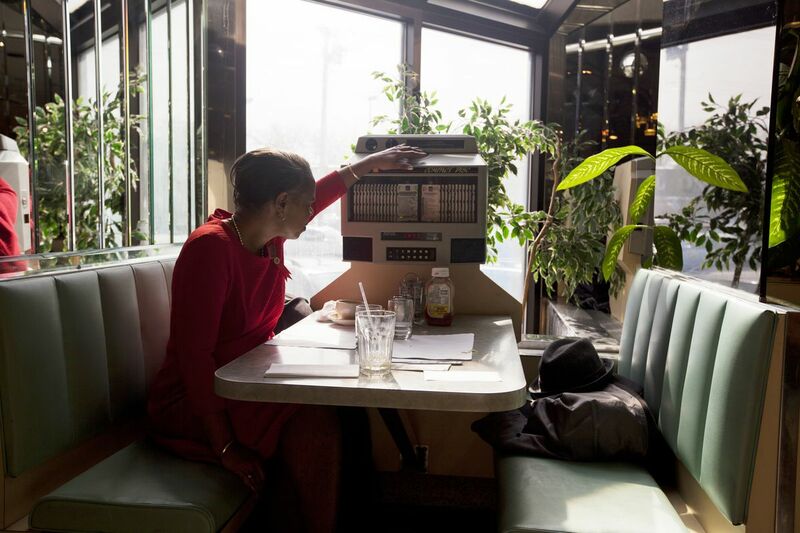 Two and a half years ago, I set out to document New York City diners. I was concerned by the speed that they were closing with and intrigued by the diners that remained open. 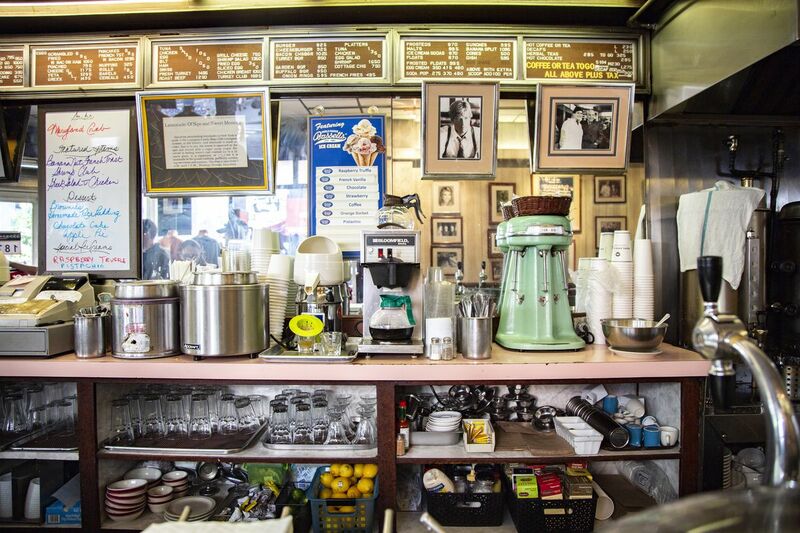 I’ve documented more than 400 diners in all five boroughs, sharing my discoveries on Instagram. Since I started, more than two dozen of them have closed. In order to survive, many establishments have renovated to trendier decor, updated their menus, or rebranded to upscale cafes or coffee shops, while still maintaining a vague diner identity. Diners began in the 1850s as pre-fabricated metal and wooden structures that were easy to move from the manufacturing plant and quick to install at the restaurant site. 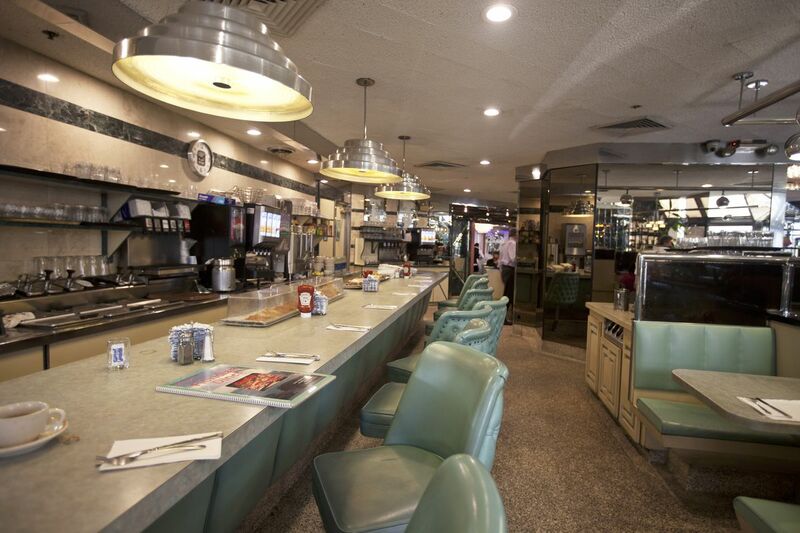 An estimated 95 percent of prefab diners ever built were manufactured in New Jersey; companies like Kullman, O’Mahoney, Paramount, Swingle, Mountain View, and others manufactured the diners, selling them throughout the Northeast and beyond. The genre has since evolved from its early genesis and every year, fewer remain or are still manufactured in the pre-fab design. Now, most diners are restaurants within a larger multi-use building, not standalone structures. 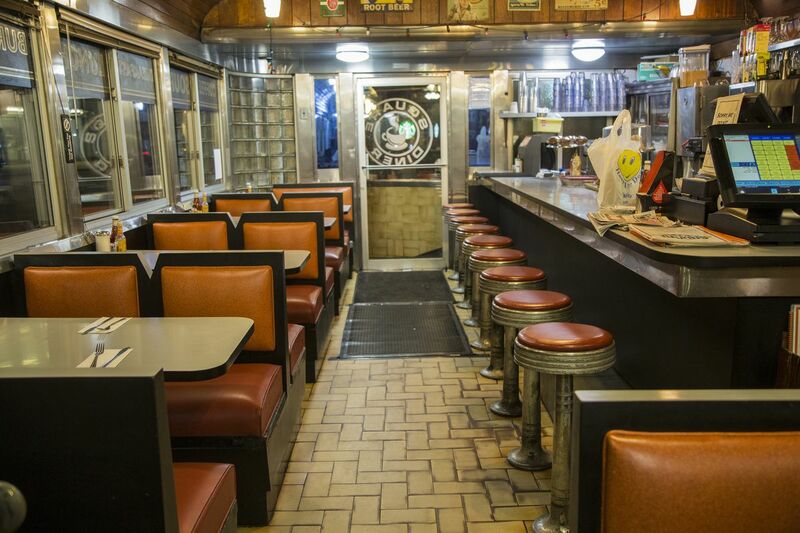 Luckily, there are a number of diners who have boldly kept their vintage decor, older menu, and uniquely nostalgic appeal. Visiting one is like stepping into the past. 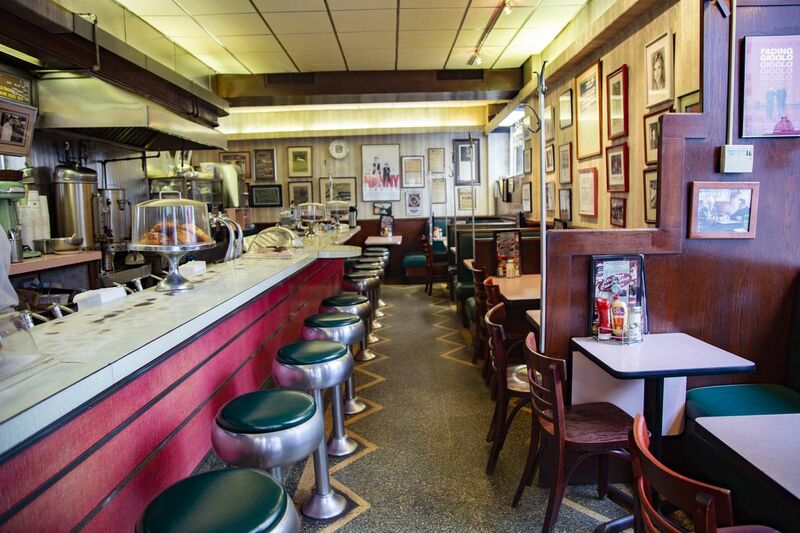 Here are a few such diners still open that continue to stand the test of time. 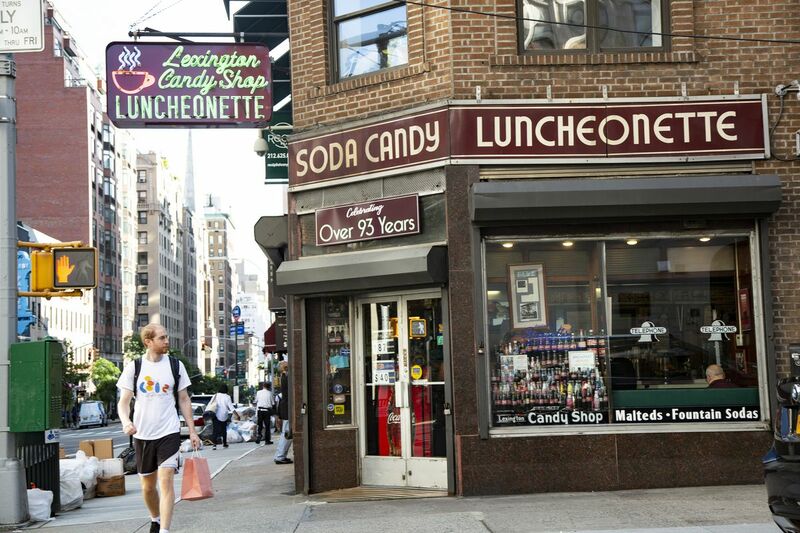 Opened for 93 years, this diner began as a candy shop and soda jerk 1935 and was last renovated in 1948. Sodas including Coca-Cola are still made the old fashioned way, with a pump and syrup. The current owner John Philis is a third generation in the line of people running the restaurant, and regulars include Bruce Springsteen. 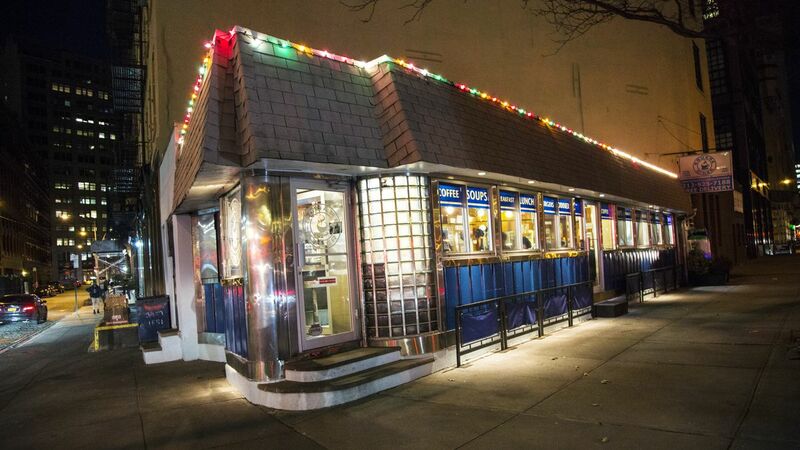 Arguably the most known diner in Queens due to it proximity to La Guardia Airport, this 1962 Kullman stainless steel prefab diner is best seen at night with its newly replaced neon. 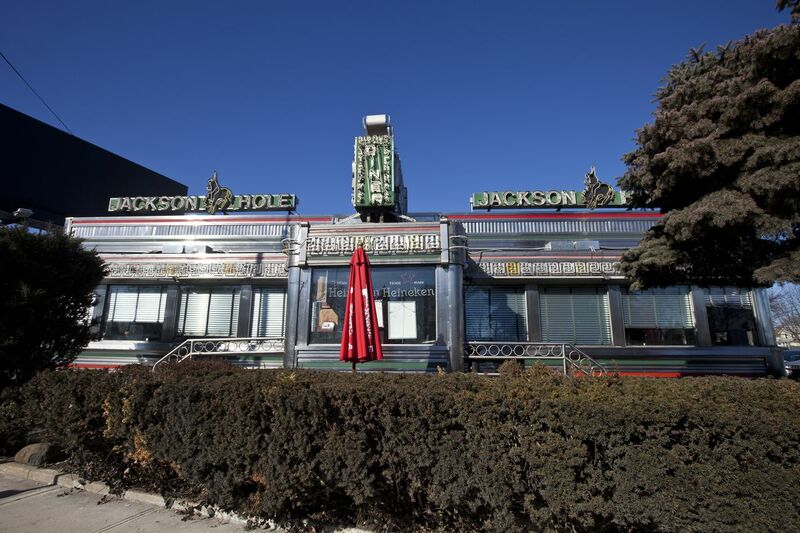 Formerly named Airline Diner, Jackson Hole maintains its original sign. 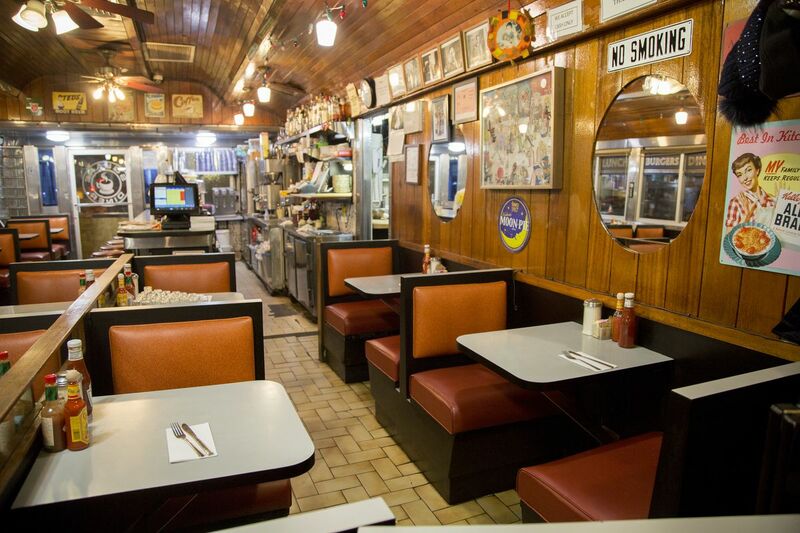 In 1972, the Jackson Hole Restaurant business began, specializing in buying and maintaining vintage diners and with five locations in New York and New Jersey. 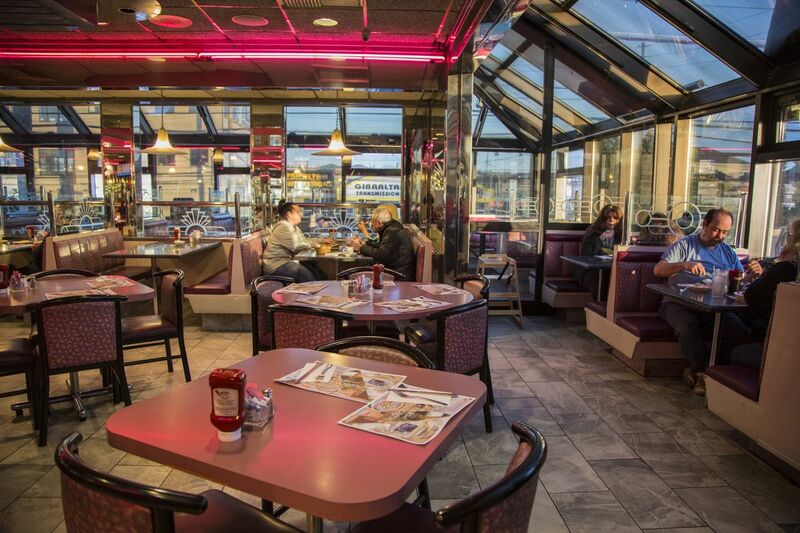 Open since 1975, the Colonnade Restaurant, whose banquet room alone sits 800, is the largest diner on the East Coast and has become an unofficial Staten Island landmark. 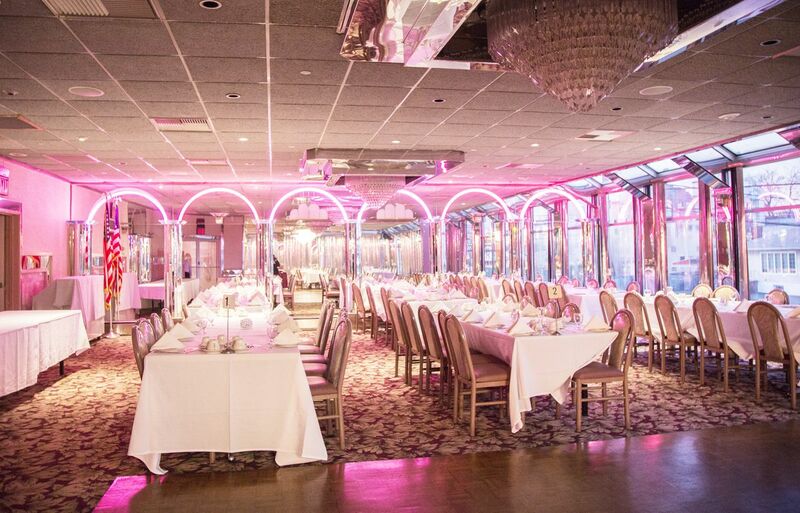 It even has an elevator and beer garden, and its banquet ballroom is adorned with pink neon. 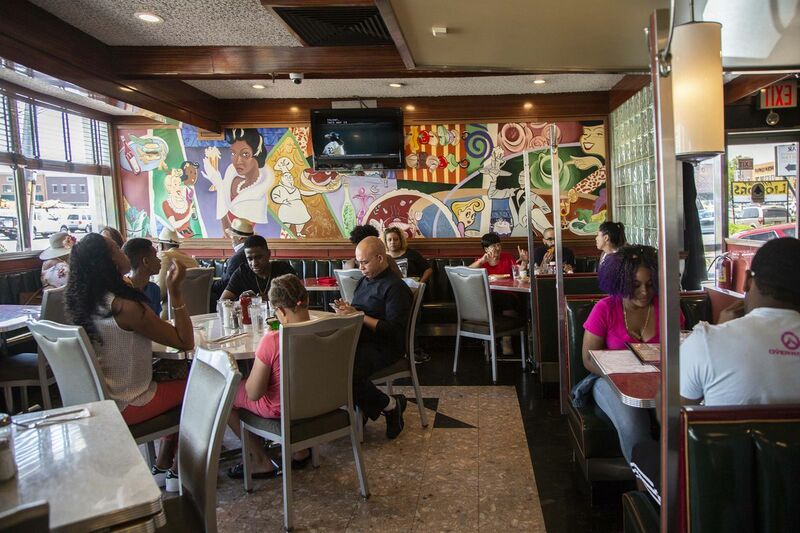 The restaurant has a staff so loyal that in 2016, when cook Eduardo Reyes won $7 million in the lottery, he kept his job at the diner. 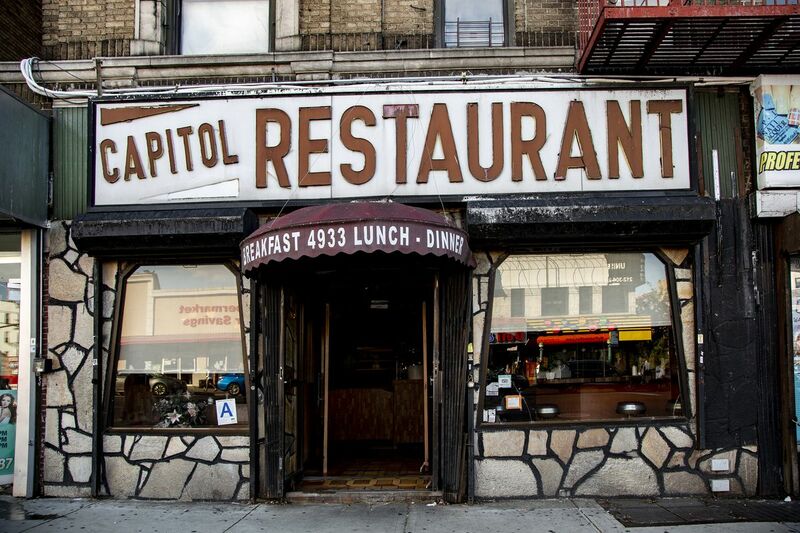 Capitol Restaurant is the oldest restaurant in Inwood, starting its life as a coffee shop called Coffee Pot. In 1900, when the Broadway trolley line was installed in Inwood, this coffee shop served its workers; the subway line itself didn’t make it to the neighborhood for five more years. 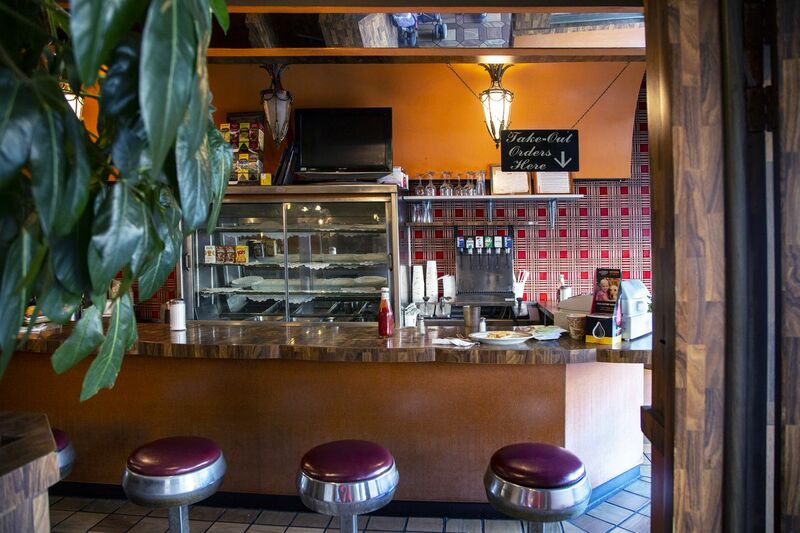 The restaurant has evolved only slightly since then, keeping its late 1960s interior, including scalloped counter seating and mustard colored stools. 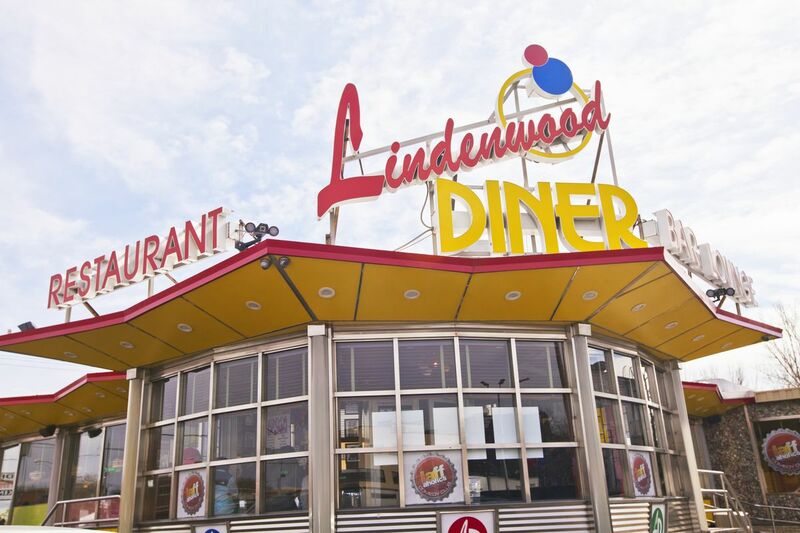 Lindenwood is one of the last remaining googie diners with googie architecture facades, using the recognizable ultra-modern space age look that was popular in the late 1950s-60s with buildings like the Seattle Space needle and television shows like the Jetsons. 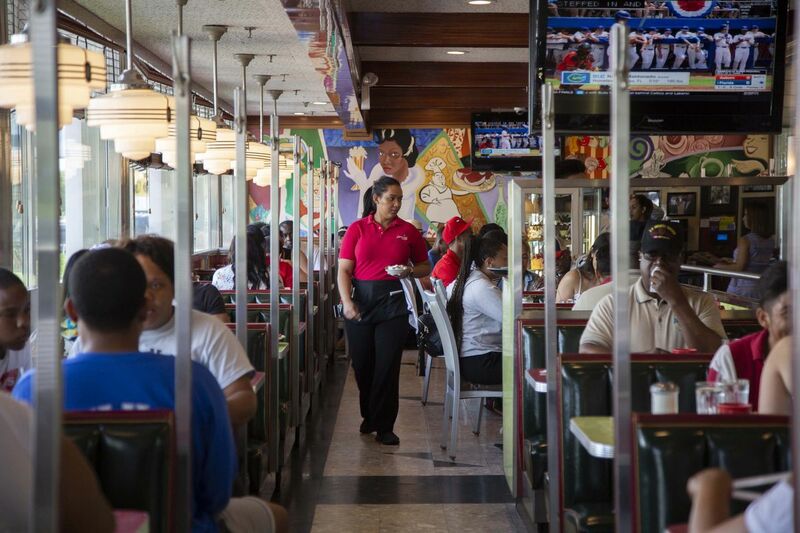 This diner has been popular since it opened in 1967. It also played a key role in bringing down mob boss John Gotti, who was once a regular. His favorite booth was bugged in 1998 and helped to bring in enough evidence against him. 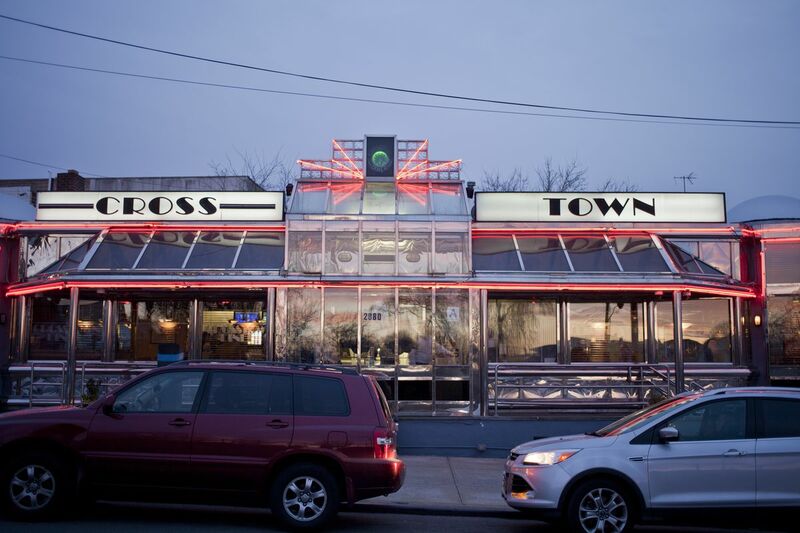 Cross Town Diner is in a geographic sweet spot: It’s located on Bruckner Blvd, which is heavily trafficked due to its proximity within ten minutes from Yankee Stadium and fifteen minutes from the George Washington Bridge. 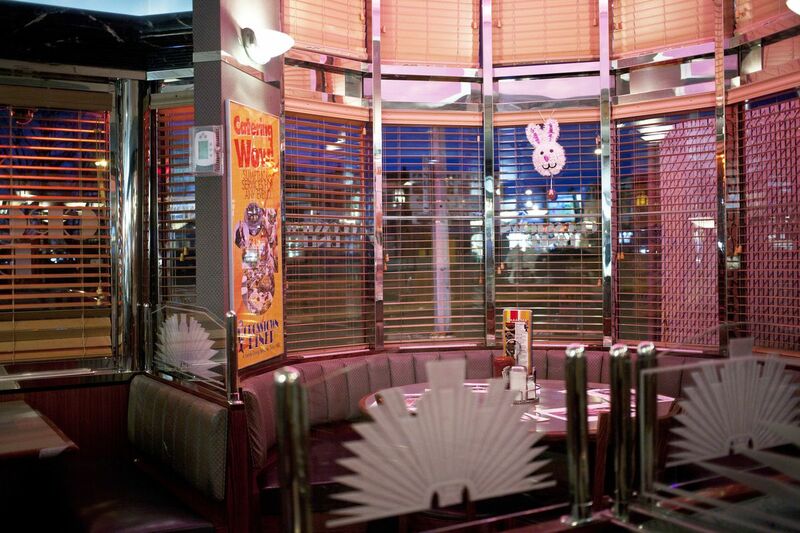 The diner has expanded from its original 1950s DeRaffele prefab design, while maintaining its original walled mirrors and art deco etched glass. The New Floridian has a remarkably unique mirrored exterior that looks slightly different at different times of day. In the late afternoon, it sometimes glistens in the sun. This 1953 Kullman prefab diner gets it mirrored exterior is from its most recent 1983 remodel; the original exterior was smaller, with small rectangular windows. 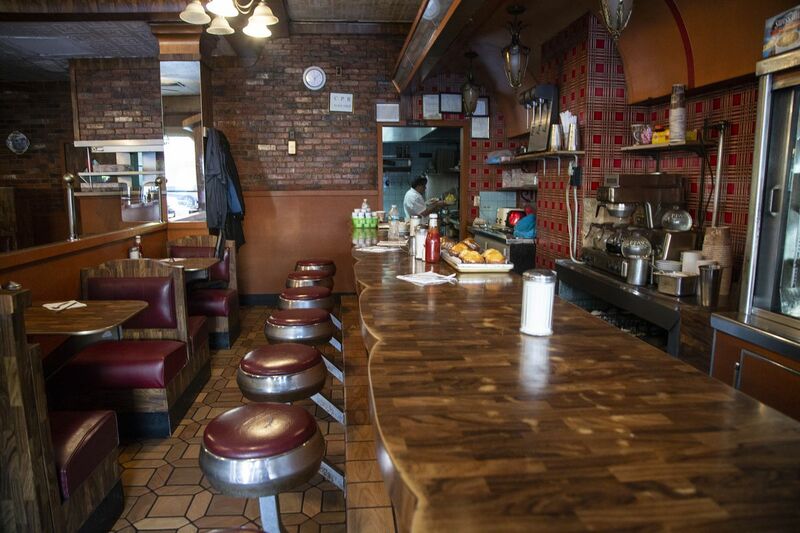 Square Diner — one of the last five remaining standalone diners in Manhattan — is set on a small triangular lot. It’s a great example of how historically, prefab diners were portable and could be moved in to occupy then-unideal parcels of land. This 1945 Kullman has since traded its original barrel roof for a semi-pitched shingled roof. Sign up to receive our newsletter for the latest open houses, private listings, New York & Global happenings. © Jackson Lieblein, LLC 2015. All information is from sources deemed reliable but is subject to errors, omissions, changes in price, prior sale or withdrawal without notice. No representation is made as to the accuracy of any description. All measurements and square footages are approximate and all information should be confirmed by customer. 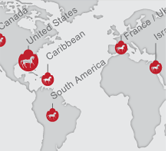 All rights to content, photographs and graphics reserved to Jackson Lieblein. Customer should consult with its counsel regarding all closing costs, including without limitation the New York State 1% tax paid by buyers on residential properties over $1 million. Jackson Lieblein represents the seller/owner on Jackson Lieblein 's own exclusives, except if another agent of Jackson Lieblein represents the buyer/tenant, in which case Jackson Lieblein will be a dual agent with designated agents representing seller/owner and buyer/tenant. Jackson Lieblein represents the buyer/tenant when showing the exclusives of other real estate firms. In all instances Jackson Lieblein treats all parties fairly and honestly. Jackson Lieblein actively supports equal housing opportunities.